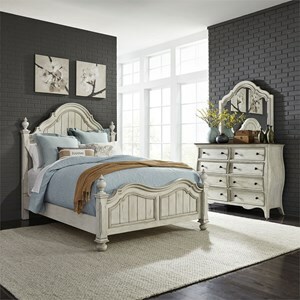 The Catawba Hills Bedroom King Poster Bed Bedroom Group by Liberty Furniture at Prime Brothers Furniture in the Bay City, Saginaw, Midland, Michigan area. Product availability may vary. Contact us for the most current availability on this product. Drawer Suspension Metal full extension glides. Drawer/Shelf Construction Fully-finished, felt-lined dovetail drawers. 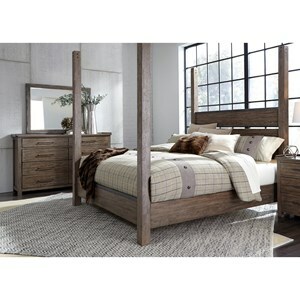 The Catawba Hills collection presents exceptionally-styled furnishings for your modern home. 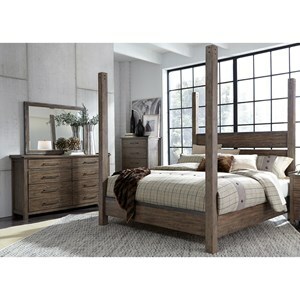 Highlighted by timeless design, the pieces are crafted from Rubberwood solids and with Pine and Acacia veneers. Featuring turned legs, upholstered seats, stemware and bottle storage, fully-finished, felt-lined dovetail drawers with metal glides and a table leaf, these transitional pieces will transform your dining experience for years to come. 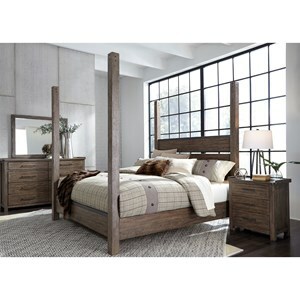 The Catawba Hills Bedroom collection is a great option if you are looking for furniture in the Bay City, Saginaw, Midland, Michigan area. 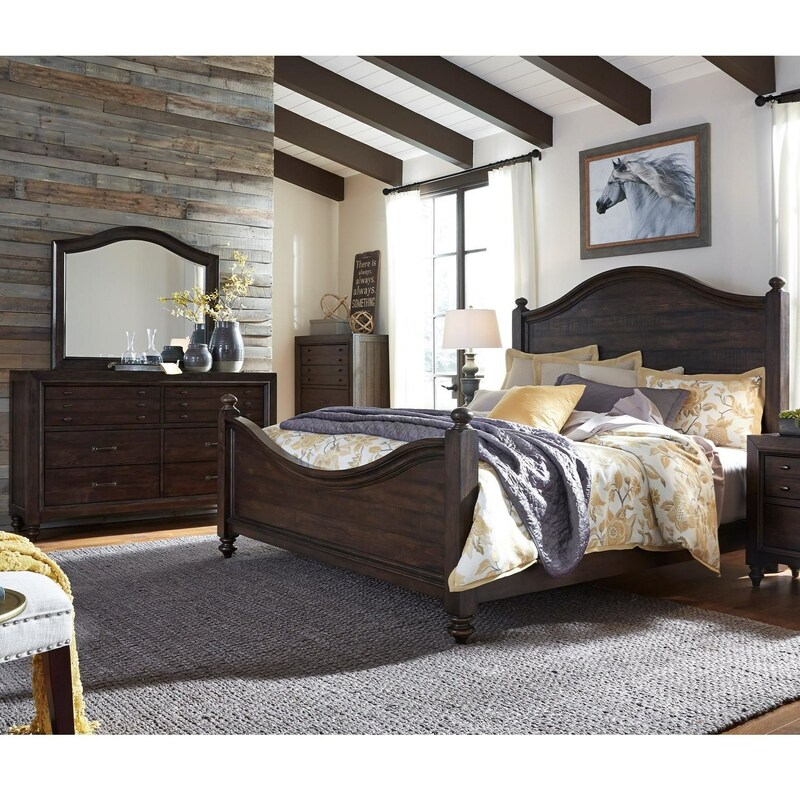 Browse other items in the Catawba Hills Bedroom collection from Prime Brothers Furniture in the Bay City, Saginaw, Midland, Michigan area.